What a beautiful morning there was today! Mid 60s in July, ahhhhhhh. 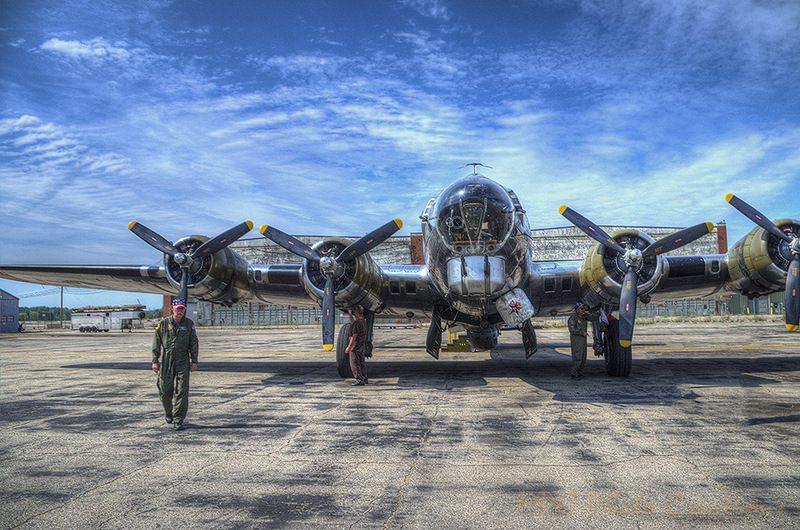 :-) My image once more is from my fabulous day of being able to have a flight in this B-17 bomber aircraft from 1945. As I mentioned another day, it was hard to get an image without someone in it polishing the plane and in this shot there are 2 people doing that. The plane was gorgeous and shiny because of their work. I did take out a couple of people who were standing near the plane. The man walking on the left was our pilot, a very nice guy who sat and chatted with us a bit before the flight and who gave us a very nice ride.